Public sector trade union UNISON has called for pension trustees to put pressure on asset managers and regulators to reveal the hidden costs of pension funds. According to a new report from the Global Unions Committee on Workers’ Capital, employees are not being given information on pension fund charges, meaning that they do not know if they are getting value for money for their pension savings. The unions, representing workers in the UK, the Netherlands, the USA and Australia, want pension funds to start using new transparency templates. In the Netherlands, pension charges have to be set out for all to see the report said, which has led to investment costs falling by a third. 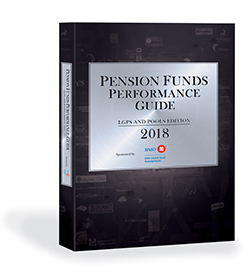 In the UK, defined contribution pension funds have to set out their charges, but there is not an equivalent requirement on final salary funds, according to UNISON. UNISON national officer for pensions and investments, Colin Meech, said: “Without knowing the charges being levied, it’s nigh on impossible for workers to assess just how well, or how badly their pension scheme is performing. But if schemes used the new guide to become more open about charges, the most likely result would be a drop in fees, and a rise in returns. Then workers and their retired colleagues would see a much welcome boost to their pensions.” The Financial Conduct Authority is due to publish a transparency template which could be adopted by UK pension funds later this year.